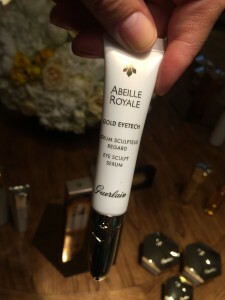 Recently, I went to a press preview breakfast for Guerlain’s newest skincare product, Abeille Royale Gold Eyetech Eye Sculpt Serum. 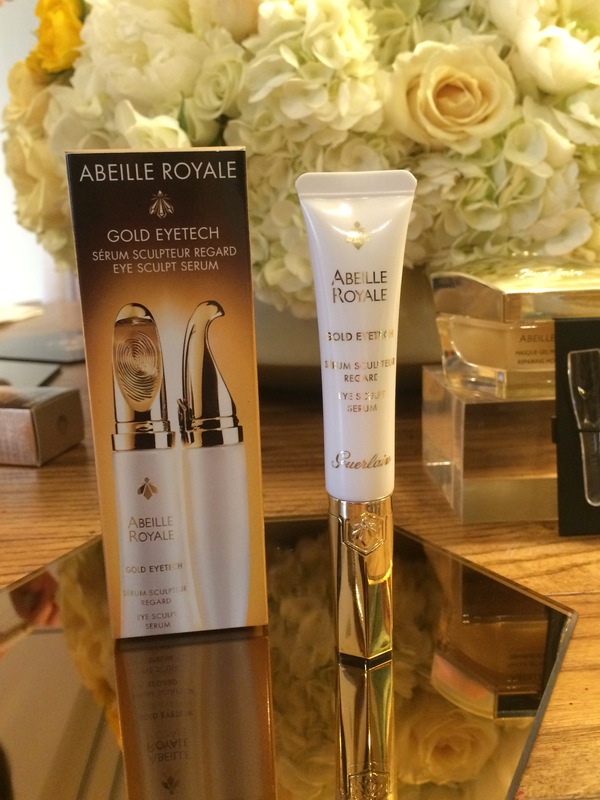 It complements the rest of the Abeille Royale line as a revolutionary, age-defying product for treating eye issues such as dark circles, wrinkles, and fine lines. The product, which is beautifully packaged, contains a unique formula that consolidates the effective repairing power of Guerlain bee products. It also has an innovative 22k golden-tipped applicator which follows the natural movement of your finger. 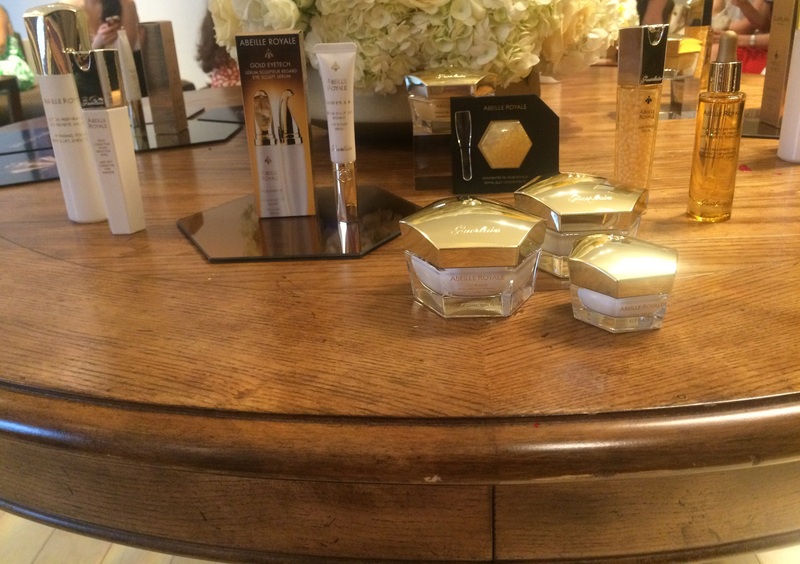 The serum is light and feels super smooth on the eyes. Experts from the Guerlain Institute have even created a short video which shows you the massage technique they’ve created to get the most effective results with the product. 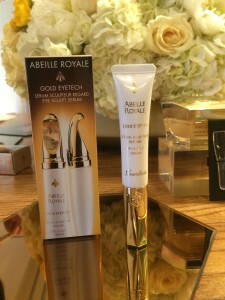 In just one week after using Abeille Royale Gold Eyetech Eye Sculpt Serum, I noticed that my eyes looked brighter, my fine lines were less pronounced, and my dark circles had faded a bit. After 4 weeks of use, your eye contour should be completely repaired and you’ll notice that your dark circles will have been reduced dramatically, resulting in brighter eyes. I can’t wait until I reach the 4 week mark! The product definitely works. 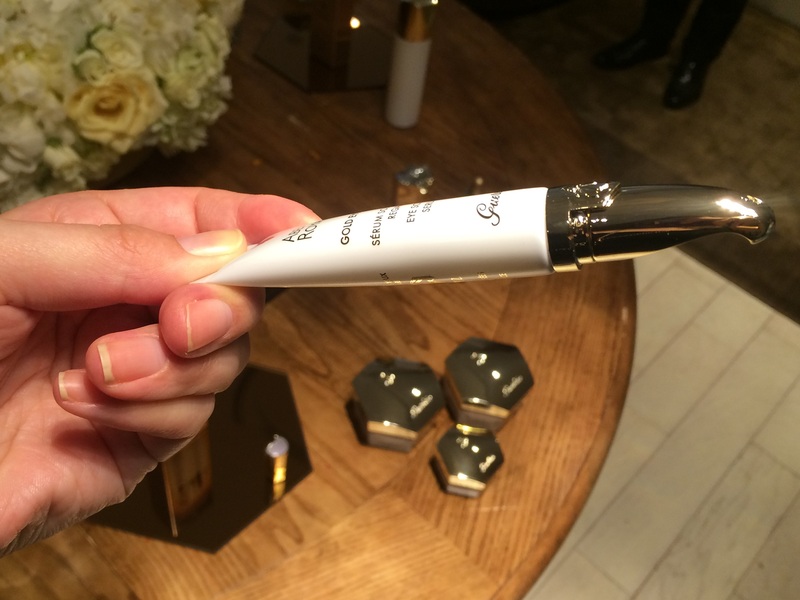 Currently, you can find it exclusively at Guerlain Boutiques and Bloomingdale’s. It will roll out to other retailers starting in September. 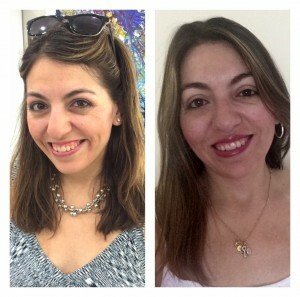 This entry was posted in Beauty, Events and tagged Abeille Royale, Abeille Royale Goldtech Eye Sculpt Serum, age-defying, beauty, eyecare, Guerlain, serum, skincare.